Has the ECU warning light illuminated on your dashboard? 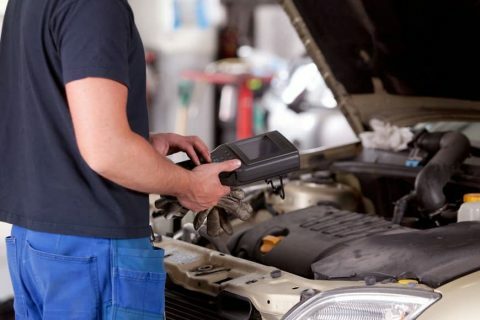 We carry out engine diagnostics Ivybridge and have invested in the latest diagnostic equipment, which allows us to pinpoint faults much faster. On modern engines, there are sensors throughout your vehicle that allow the engine (amongst other things) to work as it should. If one of these sensors develops a fault, then usually a warning light will appear on your dashboard to make you aware something has gone wrong. When this happens, your cars brain (ECU) memorises a code that is linked to the particular sensor that has reported to the ECU that it’s faulty. 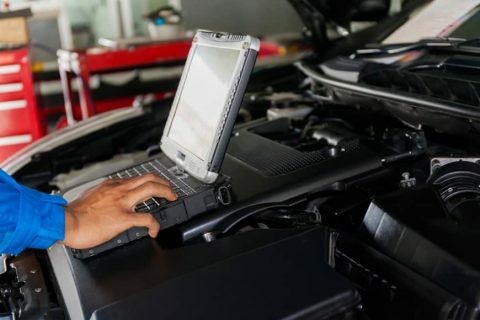 We have the diagnostic equipment that allows us to read the fault code stored in the ECU, so we can then inspect the part that has been reported as faulty. In some instances it’s as quick-a-fix as cleaning the connectors (or renewing the connector), as over time dirt and moisture can build up on the connector. This then sends a false trigger to the ECU, which then illuminates the warning light on your dashboard. Not far! If the ECU light illuminates on your dashboard then you should get your car to the nearest garage, as performance of your car will be limited by what’s called ‘limp mode’. Limp mode is a sort of ECU backup program, designed to limit performance and let you drive your car to the nearest garage. You should not drive your car over prolonged distances whilst in limp mode. My warning light went off ? If your ECU warning light comes on, sometimes pulling over to a safe place and turning of the ignition for a moment and restarting your vehicle can reset the fault. If this does clear the fault (momentarily), you should still get your car plugged into engine diagnostics as your ECU has a memory, so it should have saved what sensor caused the dashboard warning light to illuminate.